The ENVISION project is funded by the U.S. Agency for International Development (USAID). It provides assistance to national neglected tropical disease (NTD) control programs for the control and elimination of seven targeted NTDs: lymphatic filariasis, onchocerciasis, schistosomiasis, three soil-transmitted helminths (roundworm, hookworm, whipworm) and trachoma. ENVISION’s goal is to contribute to the global goal of reducing the burden of targeted NTDs so that they are no longer a public health problem. IMA World Health manages the ENVISION program in Tanzania in strict collaboration with the Ministry of Health (MOH) and the Neglected Tropical Disease Secretariat. 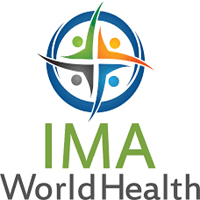 IMA World Health, a specialist in providing essential healthcare services and medical supplies around the world, is a nonprofit, faith-based organization working to restore health, hope and dignity to those most in need. IMA has more than 50 years of experience in supporting, implementing and providing technical assistance to implementing partners in resource-constrained settings, and specifically has worked on the control, elimination and management of morbidity caused by NTDs for the past 19 years. • Take part and contribute in budget development in line with approved work-plans and assist to conduct periodical reviews of both programs and budgets when the need arises. • Assist and facilitate the processes of local partner’s integration of all NTD areas in the mainstream health care delivery system at district levels. • Assist with report writing both for program activities and timely dissemination of the same.  MD or a Masters-level Degree in health-related subjects or a combination of equivalent qualification and work experiences. The e-mail subject must read Program Officer ENVISION. Email applications must be accompanied by a signed and scanned letter, the original of which will be required to be produced at the time of interview.